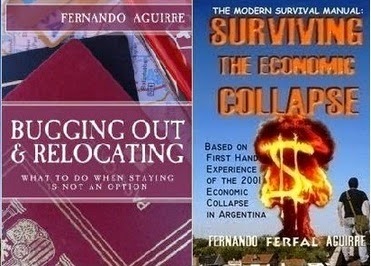 I have read and studied your book (The Modern Survival Manual: Surviving the Economic Collapse) thoroughly about the 2001 Economic Collapse in Argentina. I have searched through the book and your blog and there is an area that was not touched upon that is of great concern to me and to others my age. What happened to the Social Security payments that retired people were receiving. Did payments stop all together - forever ? Was it halted temporarily and then resumed after some time ? If it was resumed was it at the original amount or at a reduced payment rate. The only thing I saw on the blog was this quote "Older people have it pretty tough here since most pensions and retirement programs (recently “nationalized”) place the old folks BELOW the poverty line". This appears to say there was some Social Security, but was it at the previous level or reduced, and was the reason people were below the poverty level due to the fact the payments were the same as they were originally, but now the 200% - 300% inflation had pushed them below poverty levels. If you could expound on what it was like it would be greatly appreciated. Also did Argentina have some sort of Medicare program and if so did it go away or was it reduced. These questions are very critical for those of us that are older and retired and would probably not be hire-able in an environment of 25% unemployment and would therefore not be able to try and rebuild our lives. For some of this is the difference literally between life and death. Please be so kind as to tell us what happened to Social Security and Medicare. Thanks for your email. You observations are very much correct. Pensions kept being paid, but as you say with devaluation and the local currency losing 70% of its value it is hardly enough to keep you above the poverty line. The pensions did go up little by little as years went by, but never really catching up with inflation. It was much harder the first few years though, with the initial devaluation. These days, retired people aren’t doing much better but I suppose they get by. In 2008, the Argentine government nationalized all Private Pensions, effectively stealing $30 Billion Usd. This was of course unconstitutional, but they did it anyway because the government was simply running out of money. Social security, as in unemployment benefits or child benefits, we didn’t have none of those before the economic collapse. It was all created after 2001 and it was mainly as an instrument of social control and to buy political support. Years later, we ended up with a society where being unemployed, or being a single mother with two or three children by the time you were fifteen was a wise choice financially speaking. Just as I highly criticize 99% of what the current Argentine government did I will admit that they did do one thing right and that was creating pensions for homemakers. There’s millions of women (and men) out there that have been doing one of the hardest jobs their entire lives and by the time they can’t work anymore this is not recognized and they have no way of supporting themselves. Not only do I believe it to be fair, I think it also encourages true family values contrary to a system that encourages single mother teenagers to pop one baby after another just to get paid for it every month. As for medical care, there’s always been free medical care in Argentina as well as private medical care. The public one was not very good but it kept you alive before 2001. After the collapse it just became pitiful and patients ended up in leaking, cold, roach-infested hospitals and were asked to bring their own gauze, cotton and bandages due to lack of supplies. The government is now using the private sector to compensate for the poor public one, making the private care much worse than it used to be. As a general rule, its safe to say that few benefits and schemes, at least few critical ones, simply go away because of an economic collapse. Just going away looks pretty bad in the public eye. What you can expect when there’s very little money around is to have services that are barely a shadow of their former selves. As Greece keeps falling to new levels of despair, more similarities with the Argentine economic collapse and its aftermath keep showing up. In spite of the differences between a Latin American country and a member of the EU, there are striking similarities between the two, especially regarding how the crisis affected people and how they cope with it. The most obvious difference is that Greece is part of the EU, meaning it has means of getting even more money in spite of the massive debt that caused the problem in the first place. We can debate how much of a solution it is to go further into debt but this simply wasn’t an option for Argentina. Argentina wasn’t part of a main global power. Then again, Argentina is almost 20 times the size of Greece. All European Union countries put together ad up to 4,324,782 km2 . Argentina extends over 2,780,400 km2. Argentina has significant natural resources and is a strong primary producer while Greece depends mostly on the export of refined oil (which it first needs to import) cotton and tourism. Argentina has its own currency which it was able to devaluate, which works as pressure release valve, including the ability to print its own money. Greece has to stick with the Euro which it does not control. On the other hand, after its default Argentina became a no-go zone for investors, while Greece still has the Euro and is backed by its EU member status. The Greek crisis had three possible outcomes. First, the one the media loved talking about the most given the tragic implications, catchy name tag included: Grexit. Greece would leave the EU, or get kicked out of it. They would drop the Euro and start printing its own currency. Alexis Tsipras anti-austerity stance was what got him elected in the first place. 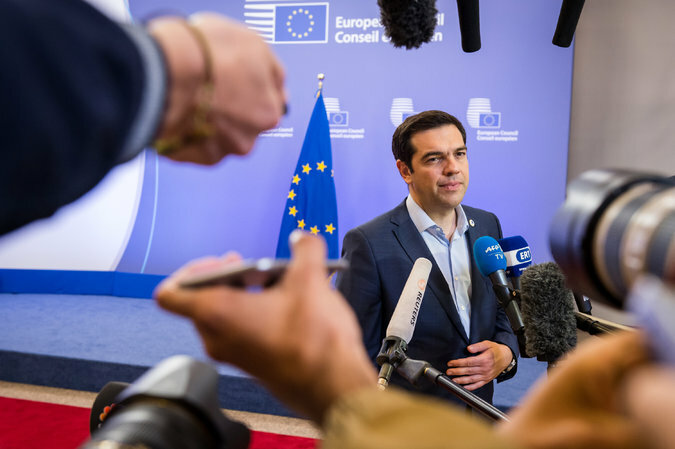 The Syriza party was supposedly ready to do just that if left with no other choice by the Troika (European Commission, the European Central Bank and the International Monetary Fund). This would have been the path most similar to the one Argentina took. In the case of Argentina, this wasn’t a particularly bad economic decision. At least in the case of Argentina, having an already rich country, getting rid of crippling austerity demands and running your own economy would have been a way of getting back on its feet in a couple years and even having a vibrant economy within a decade. The problem with Argentina was its poor execution of such a plan due to corruption and political problems. The more Argentina recovered, fueled mostly thanks to rising soy prices, the more the ruling party took to buy political support and increase its own power. Argentina most certainly didn’t recover a year after the default. It managed to get a couple mouthfuls of air by 2003 but for all practical purses 99% of Argentines saw a non-stop decline in their quality of life and standards of living since then. The second option would have been the most favorable one for the people of both Greece and Europe: Reach a reasonable compromise. Find a middle point between the demands of the Greek people, an honest assessment of what they truly can and cannot do, and the demands of their creditors. In a true capitalist system there are penalties and rewards and if you poorly invest money you risk losing a percentage of that money (sometimes 100% of it!). It’s safe to say that investing in Greece’s economy was a poor investment, so losing some money is understandable. What does this mean? Creditors lose some money, they accept a haircut, just like Greeks accept some unpopular measures so as to get the help they needed from the institutions within EU intended for such purposes. No one is 100% happy but everyone has something to look forward to and recovery is possible. Turns out the worst possible outcome is the one that played out. Greece got sold, like Argentina did during the 90’s with Carlos Menem. Everything that led to the crisis, more debt, more unemployment, more austerity has been accepted in exchange of a short term lifeline. The real winners here are the corporations that will cash in on the crisis. Greeks are now running the gauntlet Argentina went through 15 years ago and is still struggling with. The worse is yet to come for Greece. Greece’s economic circumstances may be even worse than Argentina’ in the long run, but this may be offset to a greater or lesser degree if they manage to avoid the kind of corruption and political collapse Argentina suffered. As banks close their doors and limit people to just 60 Euros per day in cash, the society desperately turns to cash. These days in the streets of Greece, just like it was in Argentina back in the day and still is over a decade later, cash is indeed king. If you have it, you have much greater leverage for negotiation than the guy with money stuck in the bank. It becomes a daily task to find an ATM with cash, find one in a safe location, and hopefully one that isn’t packed full of people. Unfortunately there’s no way around it and for many having to wait several minutes or even hours at an ATM or bank line becomes a reality. The solution? Patience. Patience or the stress will eventually kill you. Meditate, do yoga, watch a romcoms, spend time with friends or just do anything you enjoy doing. During an economic collapse you cannot let stress and depression get to you. This is the silent killer that destroys most lives during such events. With a 60 Euro daily limit you have no choice but to make the most of it. People that thought they knew how to keep an eye on their expenses have a newfound meaning for the word “budget”. Money can’t be wasted and must be spend on the basics in the most efficient manner possible. Instead of going to the movies you go for walk. Out to a restaurant? No, lets do a picnic with a couple sandwiches. Spending 10 bucks on beer in a pub? Not anymore, those were the good old days. Even when it comes to food your approach is different. Instead of buying ready made quick microwave meals its about buying rice, pasta and getting the most calories per buck spent. With high unemployment, banks closed and little money on the streets it’s natural that people turn to barter just like they did in Argentina. Having actual cash is of course better and how well barter work is the topic of another article, but when you don’t have anything else you try to make the most of it. It sure isn’t the utopic fantasy many preppers believe it to be. With more cash on the street and kept at home, criminals know there’s more loot to be found in most homes. The Greek government saw the risk of robbery in ATM lines as well and increased the police presence. Poverty and social instability combined with corruption always leads to more and more violent crime. This is something Greeks should be preparing for. As bad as you may think it already is, it will get a lot worse. The first two years after the Greek austerity programs suicide rates went up 35%. This same thing happened in Argentina after the economic collapse. Spain also saw a sharp increase in suicide rates after the crisis. In my case, when I think of suicide rates I remember the trains. Whenever there were problems with trains, you knew it was because someone killed himself. For years this would happen pretty much every week in one railway or another. Molotov bombs, tear gas, rubber bullets. It all becomes part of everyday life. Eventually demonstrations become protests which the government doesn’t bother addressing anyway. These become roadblocks and a pain for commuters. When protesting isn’t enough, when people are too poor, maybe even hungry and simply mad, looting starts happening more often. You just learn not to get involved and just walk past stores being looted and sporadic riot. You try not to think about it too much just avoid the area. In the case of Argentina the signs said “Que se vayan todos”, which means get rid of them all, in reference to politicians. Argentines just stopped believing in politicians all together. All they do is talk and once they are elected all they do is steal. Syriza came to power thanks to its anti-austerity banner, only to then rotate 180º and accept even worse bailout conditions. I doubt Greeks in general have much trust in politicians by now. With half the people in Greece under 25 unemployed, it is understandable that many chose to leave. 200.000 Greeks have left Greece since the crisis started. The same number of Argentines escaped to Europe alone after the economic collapse. More austerity will mean even less jobs, but most of all far worse living conditions for everyone no matter what age. Argentina, Greece and anywhere else in the world, when SHTF for real those that can will escape looking for a better future. Being retired and living off a pension is not much better than being young and unemployed when an economy collapses. At a certain age, you don’t have tools left to work with and whatever pension you have will have to do. Inflation eats up the purchasing power of such a fixed income and it hardly ever keeps up with it. As banks close and capital controls are enforced, the less tech savvy ones such as older people are particularly sensitive. Many older folks out there don’t even use ATM cards and will always go to the bank so as to speak with an actual person to get their money. These people are particularly vulnerable. 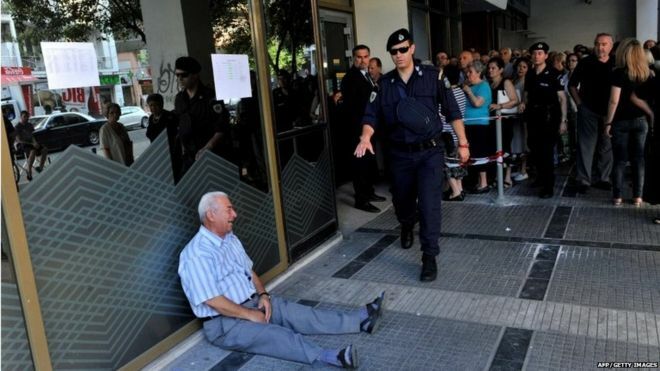 In the case of Greece, even with closed banks they had to open for some time just to help such people. The exact same thing happened in Argentina and the images were just as sad. Corruption exists everywhere and it is true that in some places it is worse than others. Maybe there’s more corruption, maybe it’s the type that allows for worse things to happen. Sometimes there’s a lot of it but a façade is kept so as to keeping up appearances. What you can be sure of is that as poverty gets worse and people get more desperate it becomes the law of the jungle out there. Its every man for himself and whatever can be done to survive goes. Corruption also becomes a part of life and eventually it becomes the reason why getting out of the mess is so hard. The worst part is when corruption becomes socially accepted and for an entire generation that’s all they ever knew. For them, it becomes a goal to get politically involved in certain parties with the specific purpose of gaining financial leverage if not downright stealing from public funds. That’s what it comes down to, doesn’t it? When its all said and done, when the numbers and stats have been published and discussed ad nausem its about being poor or even worse ending up homeless and eating out of the trash to survive. This was the reality for tens of thousands in Argentina after the economic collapse. Every night the streets would get flooded with “cartoneros”, trash scavengers. Officially they are looking for recycling material. There’s a much grimmer reality though. I’ve lost count of how many times I’ve seen people grab a quick bite out of something they found while going through trash on the sidewalk. Watching children as young as five eat out of a garbage bag is not something you want to see. Another particularly tragic moment I’ll never forget happened while running errands in the Capital of Buenos Aires one day. I came across this very old lady, about eighty years old. She was well dressed had nice makeup. There was a dignity about her that reminded me of my grandmother. She was holding on to the burglar bars of a window (all windows in Buenos Aires have those) for support and she was crying. She had a small suitcase with her. I couldn’t help stopping and asking what was wrong. I thought she had been mugged, that happens a lot or maybe she got lost. But no. She said she had lost her home and now had no one and nowhere to go. You could tell just by the way she was dressed but most of all by how she stood in spite of barely being able to stand on her feet, this was a woman that had worked hard her entire life and didn’t deserve this. I don’t even remember what I said to her. I do know I didn’t do anything to help her because there was nothing I could do. Like millions of others, I could barely take care of myself and my family let alone help anyone else. When all is said and done, when the numbers have been crunched, the billions made by the hedge funds and politicians, its millions of lives that have been ruined so that a handful can reap their evil harvest. It wasn’t that difficult to predict that a Grexit was more of a fear strategy so as to make some good investments and not so much a real possibility given what was at stake. What was a bit harder to guess was how exactly the bailout would work and how much compromise would be made by either side. Turns out that the greatest losers here are the Greeks. They basically got nothing and the austerity they will have to endure means years of misery ahead of them. You know you’re doomed when even the IMF believes that the demands you’ve been forced to accept are too hard. 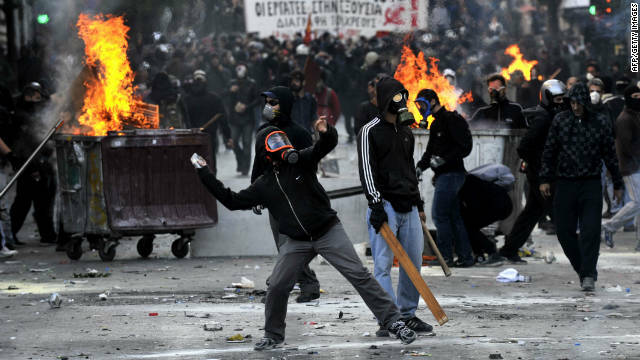 Predictably, the Greeks are mad and showing their discontent. Expect more to come, more protest, more demonstrations. Yes, more violence and more unrest in general, very much the same thing we saw in Argentina after the default. The similarities keep popping up, most of all the way in which the economic disaster affects society and how people cope with it. So the Greek people elect a leftist Alexis Tsipras who based his entire Syriza campaign on a socialist, anti-austerity stance. Tsipras goes for a referendum to show the world that not only are the Greek people against austerity (didn’t they do that already? You know…when he got elected?) but that Greeks themselves directly vote if they want to accept more austerity or not. With a strong “no” vote win, it was then only logical that Tsipras would sit with Angela Merkel and the IMF and not only accept more austerity measures than ever before but also sell what’s left of Greek public assets still worth something… oh, wait. Yes, that really doesn’t make any sense. At all. This just goes to show how much of a lie this Left and Right, Socialist and Capitalists agenda actually is. At the end of the day, Alexis Tsipras showed his true colors and instead of sticking to his guns as the Greek people expected him to do he sold out at the last minute. What Tsipras did was in fact similar to what then Argentine president Carlos Menem did with his privatization plan of public assets in the 90s. Corporate friendly, Carlos Menem famously announced one day that telecommunications, roads and the national airways company would all be privatized in his now infamous words “Nothing that should be State-owned will remain in the hands of the State”. Words to live by. Ten years later the country would fail catastrophically. A few weeks ago there was a debate in a survivalist forum regarding what kind of flashlight was most useful for survival. One member argued that for all practical uses a low lumen output light was more than enough during blackouts and for utility/general purpose use. 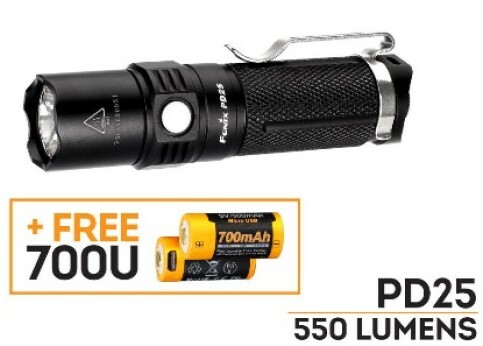 Another member quickly countered saying that in his own experience during disasters low lumen lights were very much useless and that you need a powerful flashlight, brighter than anything you can get out of AA and AAA batteries. Turns out both are right. Depending on the nature of the disaster or emergency you are dealing with, you may need as much brightness and as much throw as you can get (tactical use, security, guarding a perimeter, search and rescue during disasters) or you may need a light that puts out a modest amount of light for very long periods of time running on commonly available batteries (long term SHTF, long term power outages). I have often explained that a headlamp is the best kind of light you can have for survival and emergencies given that it allows the use of both hands while quickly placing the light exactly where it’s needed. I’ve literally spent days using little AAA headlamps from Energizer and Petzl. The problem is that these headlamps, while great for their intended use, aren’t very bright (very bright these days being +500 lumens or so) and they usually don’t have great throw. This is where the Thrunite TH10 comes in handy. The Thrunite TH10 is the kind of light you would love to have for those high brightness, good throw applications. I asked Thunite to send their neutral white version which I believe renders colors better than cool white. It is also a bit cheaper for some reason. Like all other Thrunite products it is well made, with a nicely finished aluminum construction. It has CREE XM-L2 LED with a maximum brightness of 750 lumens on turbo mode lasting 118 minutes. It also includes low, medium and high as well as strobe, all reasonably fast to access thank to it simple user interface which Thrunite typically uses. Clicking the light turns it on and off. Keeping the switch pressed cycles through Low(11 lumens, 107hours), Medium(172 lumens, 9 hours ), High(490 lumens, 178 minutes), with a memory function remembering which one of these you used last. A long press starts the light on Firefly mode (0.2 lumens, 65 days). A double click starts the light on Turbo while a second double click activates the SOS (750 lumens, 270 minutes). The TH10 uses a 18650 li-ion rechargeable battery, 2xCR123 or 2xRCR123A . 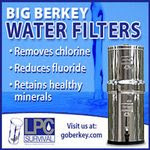 While more commonly available batteries are of course easier to come by, the lumen output would of course be much less. While the aluminum construction light feels a bit heavy at times when moving, the headband, overhead strap and rubber mount keeps everything in place. There’s not many headlamp throwers out there and the more technical ones can be pretty expensive. For 39.95 the Thrunite TH10(NW) fills that niche well. While everyone focuses on the crisis in Greece, China’s stock market falls apart. China's stock market has lost more than $3 trillion in one month. The Shanghai Composite has lost 32% since June 12th and the Shenzhen market, which has more tech companies and is often compared to America's Nasdaq index, is down 41% in that same period of time. China has started its own “capital control” with big shareholders not being allowed to sell for 6 months. -A lot of rumors / information is spread by politicians and journalists (both domestic and foreign). No body can tell who tells the truth and who lies and to what extent. -Regarding credit / debit cards: I do not know in which establishments the OP tried to use debit cards. I can use my debit card in most major retail chains fr food / fuel in Patras. Smaller family held stores probably do not accept them though. This can change of course at any time. -Web banking still works for Greek shops. Unfortunately web banking is not that spread in Greece. -OP is probably right. A lot of people are left with little to no cash. -No personal knowledge about mandatory leave. Have heard about it though. -Capital controls are here to stay. Nobody believes these measures will be lifted next week. At the moment the limit is 60 Euros per day. This will probably get even lower. In short things were bad before and now they are getting worse. Thanks for your message, it’s always nice to have another perspective. I know what you mean about some stores still using credit cards. I think that big business are more likely to keep using them but even those too can end up demanding cash only. As you say, it can change at any time. While they accept it though, no doubt, it allows you to preserve cash for other things. Greeks being fed up with politicians sounds extremely familiar. In Argentina the exact same thing happened. Back then, signs held by protesters read “que se vayan todos” , which somewhat translated into “ fire them all”.